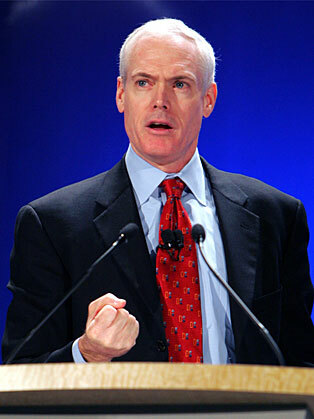 Jim Collins is a student and teacher of enduring great companies: how they grow, how they attain superior performance, and how good companies can become great companies. Having invested over a decade of research into the topic, Jim has authored or co-authored four books, including the classic Built To Last, a fixture on the Business Week best seller list for more than six years, and has been translated into 29 languages. His work has been featured in Fortune, The Wall Street Journal, Business Week, Harvard Business Review, and Fast Company. His most recent book is Great by Choice: Uncertainty, Chaos, and Luck — Why Some Thrive Despite Them All, co-authored with Morten Hansen. Based on nine years of research, it answers the question, Why do some companies thrive in uncertainty, even chaos, and others do not? Great by Choice distinguishes itself from Jim’s prior books by its focus not just on performance, but also on the type of unstable environments faced by leaders today. Jim has served as a teacher to senior executives and CEOs at over a hundred corporations. He has also worked with social sector organisations, such as: Johns Hopkins Medical School, the Girl Scouts of the USA, the Leadership Network of Churches, the American Association of K-12 School Superintendents, and the United States Marine Corps. In 2005 he published a monograph: Good to Great and the Social Sectors.